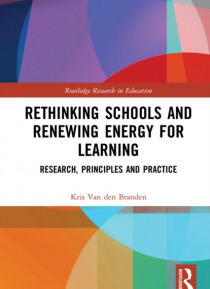 Rethinking Schools and Renewing Energy for Learning presents a comprehensive view on the major challenges educators face in the 21st century, and the ways in which schools can make a difference. It describes key principles that can serve as guidelines for tackling those challenges in an effective and manageable way, looking both at what children should learn, and what they want to learn. Drawing o… n research, policy-related literature, and a wide range of practice-based examples, the book addresses various topics, such as goals, pedagogy, assessment, equity, policy, and the role of technology in learning. The book suggests that schools can be as rewarding and fulfilling as they have been in the past and gives examples of how this can be accomplished.Rethinking Schools and Renewing Energy for Learning will be of great interest to academics, postgraduate students, teacher educators, and scholars in the field of education, specifically interested in primary education, secondary education, teacher education, and education policy.